With reaching 40 million Americans of Mexican origin in the US, there has been an increased interest in Mexican American and Mexican family research. 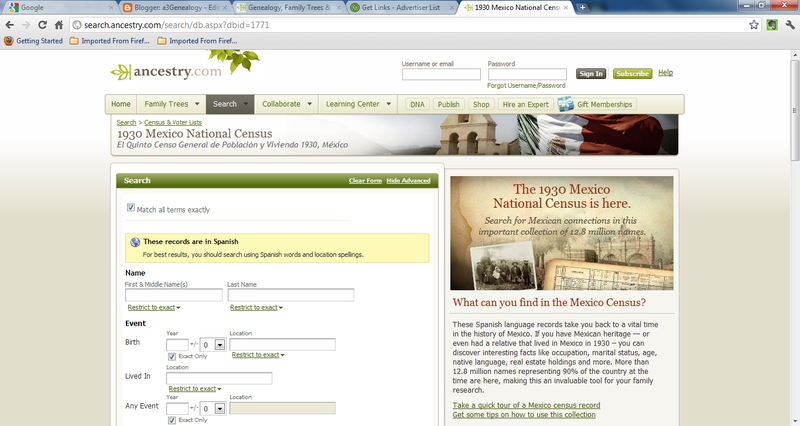 But, until now it has been a struggle to research south of the boarder. With the recent release of 1930 Mexico Census however, Mexican family researchers have been given a wealth of information. The 1930 Mexico National Census, covering 90 percent of the population, is the most comprehensive genealogically rich Mexican census available online. On 16 Sept, Ancestry.com announced the addition of the 1930 Mexico National Census (El Quinto Censo General de Población y Vivienda 1930, México), a collection of over 13 million records to it's searchable database.